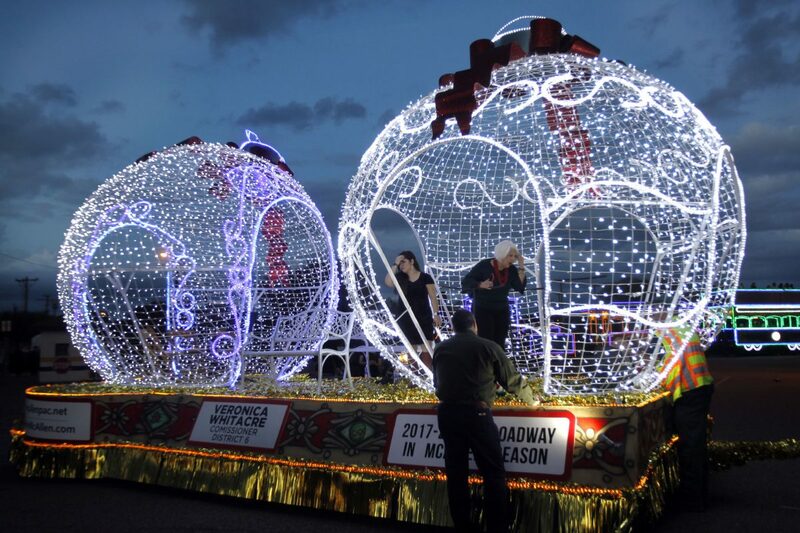 The city of McAllen announced Wednesday that the theme of this year’s holiday parade will be “Christmas Around the World,” according to a press release from the city. The event’s presenting sponsor will be H-E-B. Their partnership with the city of McAllen “goes together like peanut butter and jelly,” McAllen Mayor Jim Darling said in the release. The parade will begin at 6 p.m. on Saturday, Dec. 1. The one-and-a-half mile route will begin at McAllen Veterans Memorial Stadium, then head south on Bicentennial Boulevard to U.S. Business 83. There will be reserved seating at the stadium available for purchase, and free seating will be available along the route on a first-come, first-served basis. The McAllen holiday parade is the largest illuminated holiday and helium balloon parade in Texas, according to the release. Now in its third year, it will include lighted and animated floats, inflatable character balloons, bands and celebrities. For updates and information on the parade, visit www.mcallenholidayparade.com.